Lemax Tudor Lane Post Office Lighted Building depicts a traditional old timber clad rural village community post office building. Internally illuminated village miniature table piece suitable for placement within a themed Lemax village display. Tudor Lane Post Office was welcomed to the Lemax Caddington Village miniatures collection in 2013. 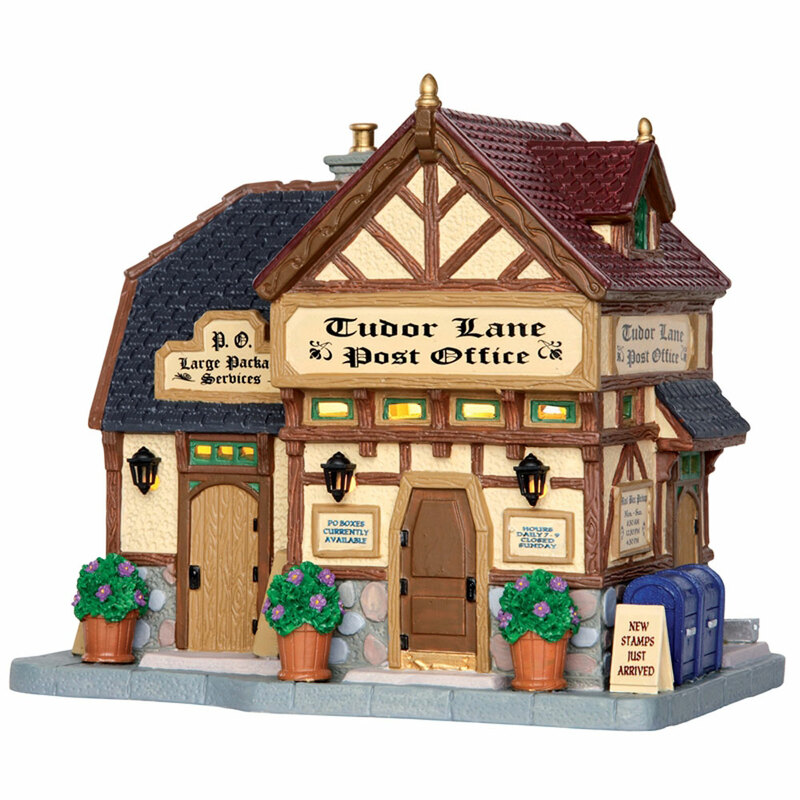 Tudor Lane Post Office is a single porcelain hand painted miniature building on a stone effect base.